Li-Ion battery charger, micro USB Li-Ion battery charger, micro USB, 4.5 - 5.5 VDC. 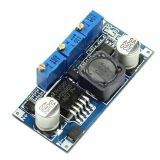 Converter Module DC/DC 1.25-30VDC/3A Converter Module DC/DC 1.25-30VDC/3A with smooth adjsutment of output voltage 1.25-30VDC and current 3A. Li-ion batteries KIT USB micro Module for charging 3.6V Li-ion batteries via USB from a computer, laptop or external 5V rectifier. List Price 4.99лв. VAT Incl. 4.74лв. VAT Incl. 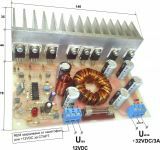 DC-DC voltage converter 4-38VDC/5A DC-DC voltage converter 4-38VDC/5A and voltage stabilizer. Stabilized Rectifier 7-14VAC, 1.5A Stabilized Rectifier with supply voltage 7 - 14 VAC, current 1.5 A and output voltage 8 VDC. List Price 3.90лв. VAT Incl. 3.71лв. VAT Incl. 3.51лв. VAT Incl. List Price 3.25лв. VAT Incl. 3.09лв. VAT Incl. 2.92лв. VAT Incl. Power module 12VDC/1A, 24VDC/1A Voltage stabilizer 12 VDC / 1 A, 24 VDC / 1 A with precise output voltage values setting. 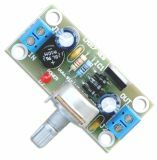 Adjustable Voltage Rectifier 1.3 - 30 VDC with LM317 Stabilized adjustable voltage rectifier with LM317 integrated circuit. Power supply 12VDC, 4A, 48W Switching power supply 220 VAC - 12 VDC 4 A, output power 48 W. The power supply has short-time overvoltage protection, overload and output short circuit protection. It can control NTC - 10 kOhm (28°C). 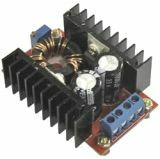 The power supply is suitable for Peltier element cooling systems, LED strips, LED tubes and others. Adapter 5 V to 3.3 V for PIC microcontrollers Adapter 5 V to 3.3 V for PIC microcontrollers is a converter from 5 V to 3.3 V.